Buy, play and dig deeper into your favorite music. eMusic, a leading subscription-based online music and audiobook store, is the ultimate discovery and download destination for people who love music. 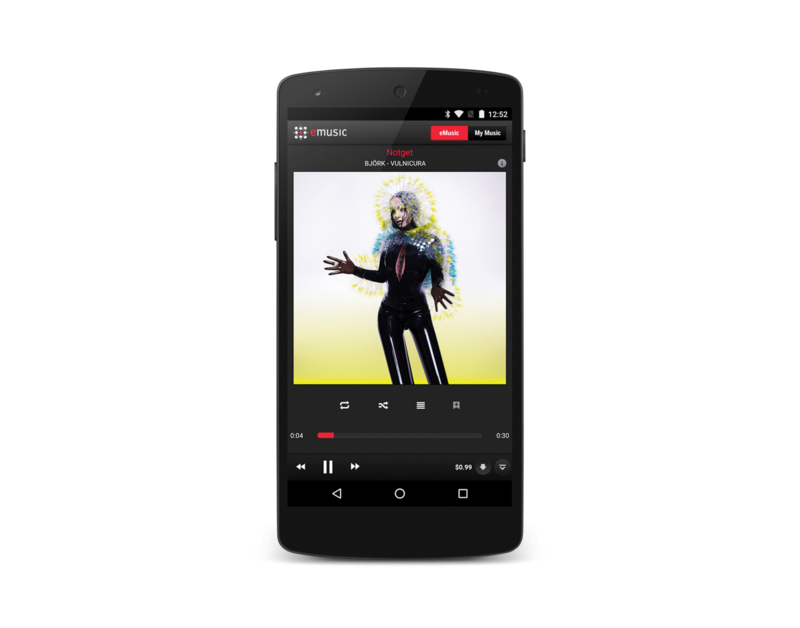 Hydric built eMusic's first native Android application, which focused on delivering high usability whilst still driving member acquisition. We originally began working with eMusic back when our founders were a part of We Are Hunted, conceptualizing ways in which an app could help kickstart new member acquisition and music purchases. Upon forming Hydric, we continued what we started, designing and developing eMusic's mobile application. The application was a vast undertaking, consisting of a feature-rich audio player that integrated with the user’s own music library and successfully competed directly with in-built audio players. It included an entire store front for browsing, purchasing and downloading music content. The player also featured eMusic's own streaming radio stations and the app acted as a reader for eMusic's much loved editorial content, supplementing the playback experience with artist biographies and artwork. The app also pioneered a particularly innovative feature in its recommendation and mood based playlisting. We helped eMusic leverage 10 years’ worth of raw user data to produce a robust recommendation engine for their platform. eMusic and Hydric were also one of the first companies to use Echonest's 'Taste Profile' feature. These features enabled personalized recommendations and playlisting which were constrained to the user’s own music library. 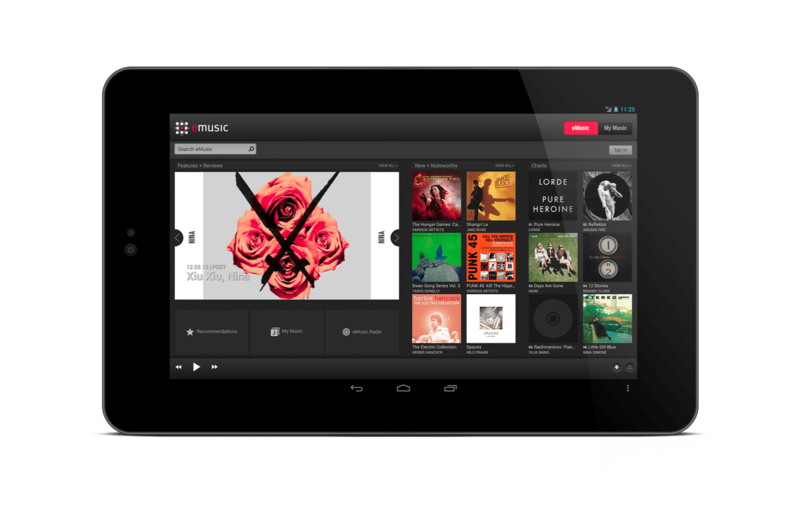 A particular challenge of this project was that eMusic for Android needed to create added value to existing members while providing non-members a unique taste of eMusic’s offering. In order to attract non-members, the app uses a freemium model, providing both free and paid-for features. All users can play what’s stored locally and explore eMusic’s quality content, but only members can download new music à la carte and tune in to curated radio programming. 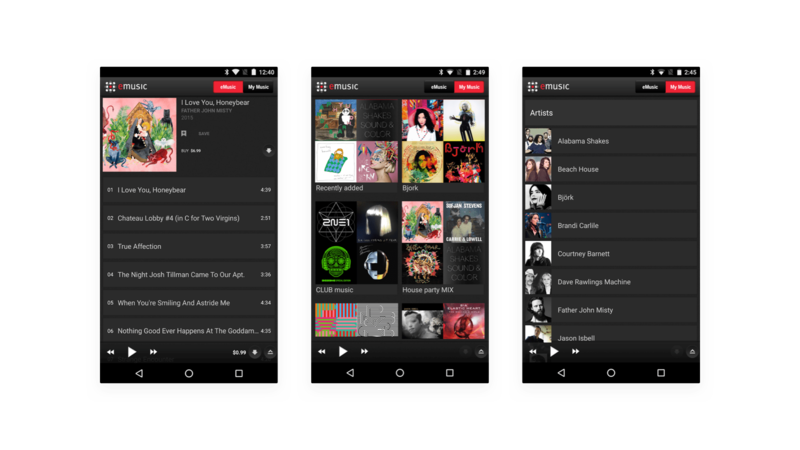 eMusic Android was a huge success for the company when launched in 2012, especially being Hydric’s first-ever mobile app. After transitioning to digital management and support post-release, Hydric facilitated passing digital ownership of the app to eMusic’s internal team. It has been installed more than a million times since its launch and has become the go-to music player for many Android users, helping stimulate new digital purchases and new eMusic members.